Grambling’s one-two punch helped it get back on track as it christened newly-renovated Eddie G. Robinson stadium. Grambling State University football team picked up a 23-10 win in its 2017 home opener against Northwestern State at Eddie G. Robinson Memorial Stadium. 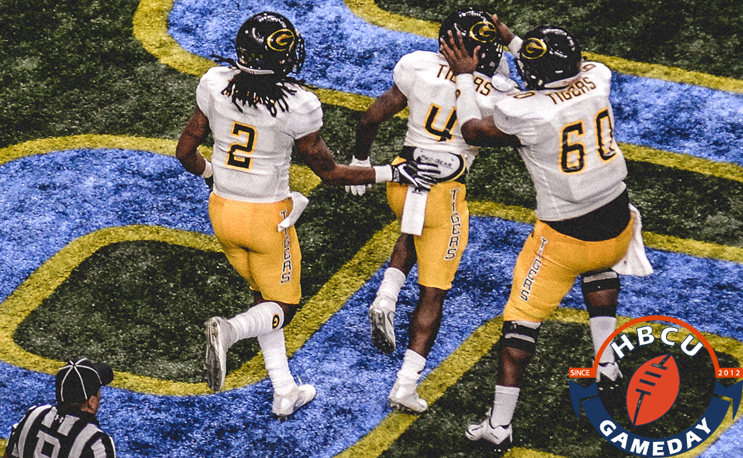 Grambling State (1-1) wasted little time in its home opener as the Tigers marched 65 yards in just three plays on its opening drive to grab a 7-0 lead. The Tigers got a huge 60-yard pass play from Devante Kincade on the first play from scrimmage to Martez Carter and Grambling State punched in its first score with 14:01 remaining in the opening quarter. Carter’s two-yard dive gave the Tigers a 7-0 lead. The Demons (0-2) were driving for the tying score, but De’Andre Houghes forced a fumble on a sack and the ball was recovered by Johnkil Skipper at the Grambling State 25. Grambling State set up shop on its own 25 and used a 10-play drive as Marc Orozco booted the first of his three field goals – an 18-yarder – to extend the lead to 10-0 with 5:44 left in the first quarter. Northwestern State answered the Tigers score with an 11-play drive, capped by a J.D. Allmond 14-yard touchdown pass to Marquisian Chapman as the Demons cut the Grambling State lead to 10-7 with 14:52 left in the first half. The Tigers quickly responded as Grambling State marched down the field with a nine-play, 75-yard drive as Kincade found a diving Darrell Clark on the left side of the end zone for the 24-yard score with 11:03 remaining in the second quarter. Grambling State took a 17-10 lead into the half and added to the margin midway through the third quarter as Orozco booted a 35-yard field goal to give the Tigers a 20-7 advantage with 6:50 remaining. Northwestern State got a 34-yard field goal by Austyin Fendrick, who just missed a 54-yarder in the first half, to cut the deficit to 20-10 with 14:05 left. However, Orozco’s 26-yard field goal with 1:38 sealed the victory and gave Grambling State its first win of the season.